Confessions of a Twenty Something Artist: Hello Vacation! Hello summer! It's nice to see you again! Last summer was my first summer not at Iroquois Springs and it was a difficult adjustment- a welcome one, but a hard one none the less. So this year as summer approached I knew that we had to begin with a bang and so M & I decided that Eugene would join us on a little adventure to O-Town to visit some of our peps, see a little music and get some much needed sunshine. Unfortuantly, some of us have to work- i.e. 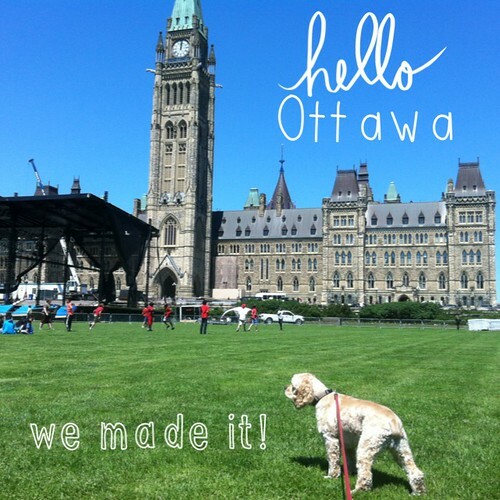 M- so he couldn't stay for too long and is now back to business in NL but Eugene and I are spending some time in Ottawa. We've had some adventures since we got here and I thought I'd share some of them with you! We visited parliament last week. It was beautiful but very hot. I'm sure he's glad he had a last-minute haircut before we left. 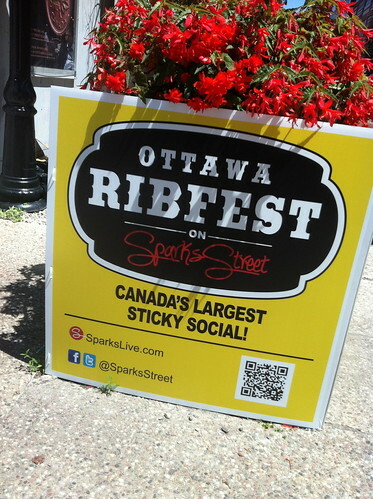 Then we staked out Rib Fest on Sparks street. It smelled delicious but it was very, very crowded. We made some new friends-and housemates for part of our visit. That's Kobe- like the basketball superstar not the beef! 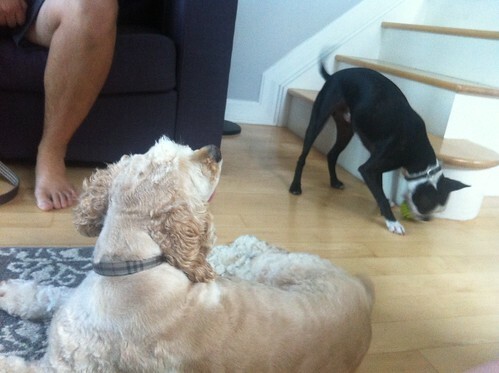 He is an active guy but loves to wrestle with Eugene. 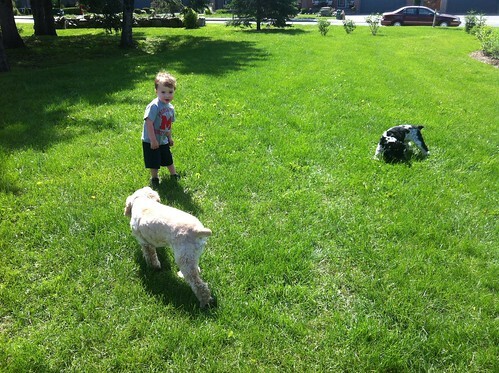 We also visited Liam and met Trouty-Allison & Paul's cocker spaniel. Eugene now has a little girlfriend. She is tiny and cute and petite and I just love her to bits. 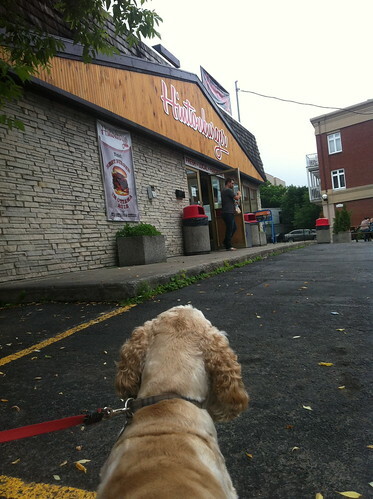 We had some Hintonburger- a 'must-do' for us while in O-Town. It was yummy even if we did have to wait a while to get it! It has been an awesome start to the summer! Stay tuned for more adventures of E & K in O-Town! sounds like your enjoying the summer, great pics!